A SHOPPING centre has received an award which recognises the "high standard" of its car park. The Park Mark accolade - given to operators who can demonstrate pro-active measures aimed at preventing and reducing crime in their facilities. - has been presented to the White Rose Centre in Rhyl. 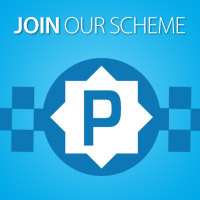 Introduced to promote excellence in the management and security of public car parks across the UK, Park Mark is awarded by Police Crime Prevention Initiatives and managed by the British Parking Association. Sue Nash, shopping centre manager, said: "The Park Mark award is an independent assessment of the centre’s car park management strategy. It recognises our commitment to public safety and excellence and the professional approach we adopt to managing our car parks. "The centre has an excellent record over the years, and our staff ensure that the car parks are well-managed and checked regularly both on CCTV and in person. We are always pleased to have this work recognised since it tells our shoppers that they can park with us and rest assured that their car is looked after." 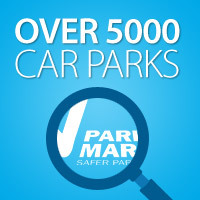 Every shopping centre car park has to go through a risk assessment and inspection to attain accreditation to the Park Mark standard, including submission of the policies and procedures in place to deter and prevent criminal activity and anti-social behaviour. The car park holds up to 300 spaces. It features disabled as well as mother and baby spaces available, and a lift directly accessing the mall, allowing shoppers to enjoy our stores in the knowledge that their car is safe and secure.